An avant-garde take on the adidas Superstar. Y-3 has revealed its latest take on the iconic adidas Superstar silhouette, with a new Super Takusan sneaker that reinterprets the classic style. The sneaker features the Superstar’s signature rubber shell toe caps, as well as a white canvas upper and leather detailing around the lacing unit, heel and tongue. The stand-out feature of the sneaker is the off-white rubber panelling that runs around the lower section of the sneaker. The tonal white design is contrasted with black Yohji Yamamoto branding across each heel. 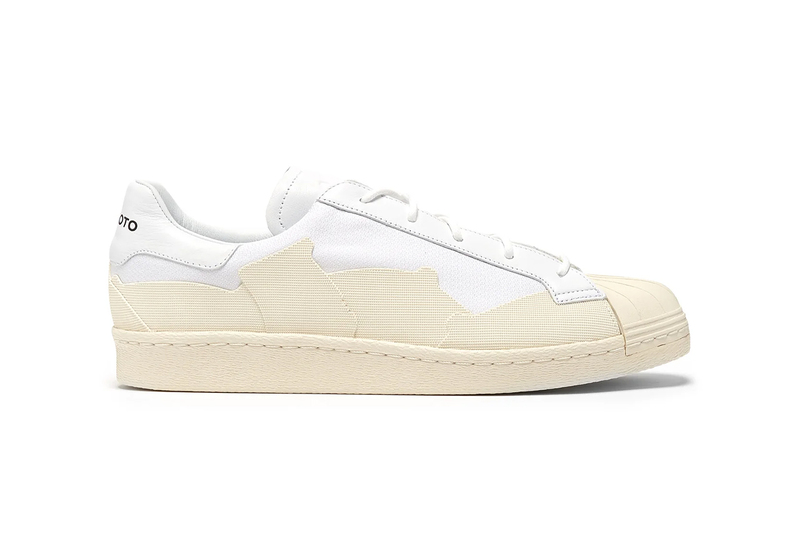 Take a look at the sneaker in the gallery above, and head over to Matchesfashion.com to pick up a pair. In other footwear news, check out adidas’ Chinese New Year pack. Just 1 of 30 ever made. jeffstaple Explains How a Rejected Sample Became the Nike SB Dunk Low "Panda Pigeon"
All because of an Instagram post. Making “Cool Compression” products since 1989. Taylor Bennett Reveals Independent Artist Struggles on New Track, "STREAMING SERVICES"
The latest from Chance The Rapper’s brother. Looking to kick off the new year with a banger.